After twice being juror of a Georgian wine competition and three visits to this beautiful country, I just have a crush on Georgia. Tsinandali 2009, Kakheti (white, rkatsiteli + mtsvane): very fresh, floral and vegetal nose with hints of yellow fruit and a kiss of the oak. Medium full bodied, mouth-filling but never heavy. Very well balanced, juicy and refreshing. Rkatsiteli 2010, Kakheti (white, rkatsiteli): complex aromatic, noticeably spicy, bitter almonds, anise or wild fennel, fresh green melon… Fresh, dry and tense on the palate, with aromas of green apple and a reminiscence of green tkemali plums. A wine that is not meant for easy drinking but for a good, spicy dish. Tsinandali 2010 Special Reserve, Kakheti (white, rkatsiteli + mtsvane): floral, fruity (yellow fruits, apricot, quince) and slightly spicy nose with a hint of honey and a kiss of oak. Fresh and quite dry on the palate, juicy and tasty, nice mineral finish. Saperavi 2010, Kakheti (red, saperavi): fresh, fruity (cherry, red berries) aromas with a hint of spices, oak and vanilla. Very fresh on the palate, quite juicy and tasty, well-balanced, medium bodied, with a nice mineral finish. Saperavi 2010 Special Reserve, Kakheti (red, saperavi): fruity (plum, cherry) and spicy in the nose with some vegetal nuances and elegant oaky tones. Fresh, smooth, medium bodied, quite complex with well integrated oak tones and a great balance. Napareuli 2009, Kakheti (red, saperavi): intense, juicy, spicy, medium bodied, very tasty, still quite tight in its tannins. Good ageing potential for this perfect interpretation of carefully grown and selected saperavi grapes. Mukuzani 2007, Kakheti (red, saperavi): nicely aromatic with dominant (wild?) cherry aromas, berries and hints of nuts and vanilla. Fresh, smooth, ripe and round, medium bodied, very well balanced, velvety ripe tannins and quite a long finish. Saperavi 2007, Kvareli, Kakheti (red, saperavi): a new winery and wine for me. Quite a nice surprise actually! Ripe fruit (plums, wild berries) and some spices in the nose. Fresh, juicy and mineral on the palate, with slightly bitter tannins, medium body, a good structure and fruitiness and a surprisingly long and juicy finish. Not meant for the beginning wine drinker, this quite austere and spicy wine is a fantastic companion for aromatic dishes like those of the Georgian cuisine, but also for red meat in spicy wine sauce and all kind of (red meat) venison. Tsinandali 2010, Kakheti (white, rkatsiteli + mtsvane): very fresh, aromatic (green herbs, white and yellow stone fruit), slightly mineral and a creamy kiss of the partial oak ageing. Very lively and refreshing on the palate; good balance, round and smooth structure, quite mouth-filling, long, juicy and softly spicy finale. A nice, modern gastronomic wine. Mtsvane 2010, Kakheti (white, mtsvane kakhuri): appealing modern nose, floral aromas and juicy yellow peach with a hint of spicy honey. Light, fresh, smooth and round in the mouth, dry and juicy with some mineral saltiness and a pleasant bitter aftertaste. Nice, gastronomic wine. Mtsvane 2011, Kakheti (white, mtsvane kakhuri): pretty much alike as above, with more youthful freshness and aromatic presence, especially white flowers and juicy yellow peach. This would be a great aperitif wine; the older one would match better with white meat, poultry and white sea fish in a soft, creamy sauce. Saperavi rosé 2009, Kakheti (rosé, saperavi): even if the colour was not showing any sign of evolution, the nose was just around and may be even over the edge. I remembered that wine as a very fresh and fruity rosé with lovely citrus fruit and pomegranate aromas, this sample was a bit earthy and very spicy in the nose, quite probably a sign of oxidation. On the palate, you could still taste how good this wine was; still very fresh and juicy, but not anymore as aromatic as it used to be. I would recommend to drink this saperavi rosé within 1-2 years after the harvest to fully appreciate the fruitiness and freshness of this wine. Saperavi 2009, Kakheti (red, saperavi): the grapes were harvested in the ‘bio block’ in the Kudigora vineyards of Kindzmarauli… organically grown grapes (even if not yet certified?). Intense, complex nose with loads of red berries and red fruit, completed by some sensual spiciness. Very fresh and juicy, a tiny bit rustic in its aromas and quite powerful, but lovely tasty with a long and sensual finish. Not exactly a wine for vegetarians, this is definitely a wine for charcoal grilled red meat. Mukuzani 2008, Kakheti (red, saperavi): intense and lovely nose, with loads of berries in it, some spices and ageing (oak) tones. Fresh, juicy, spicy and very well-balanced on the palate, with firm but ripe tannins and well integrated oak. Quite long and complex finish (despite the unexpected depot). Napareuli 2008, Kakheti (red, saperavi): intense aromatic, loads of berries, some spices, toasty oak and vanilla. Medium-bodied, fresh, juicy, fruity and dry on the palate, quite well-balanced despite the firm but ripe tannins. Very nice finish. Definitely a gastronomic wine for meat, venison and cured cheese lovers. Kondoli 2007, Kakheti (red, saperavi): very aromatic, intense fruit (berries) and spices aromas, with a hint of toasty oak, balsamic tones and smoke. Full-bodied, powerful and tight but also fresh and fruity, with some herbaceous undertones. Sorry again for the vegetarians, this wine is born for charcoal grilled red meat and venison. Rkatsiteli 2009, Kartli (white, rkatsiteli): green aromatic herbs, citrus, exotic and yellow stone fruit nuances. Lovely and lively fresh, very well vinified, great balance and good structure. Nice mineral saltiness in the – a bit too short – finish. Easy drinking, nice gastronomic wine. Goruli Mtsvane 2009, Kartli (white, goruli mtsvane + 10% chinuri): lovely aromatic, flower blossoms, honey, green apple, citrus, white and yellow stone fruits. Surprising freshness, lots of juice, spicy and fruity; modern made, very well-balanced, medium-bodied and easy drinking gastronomic wine. 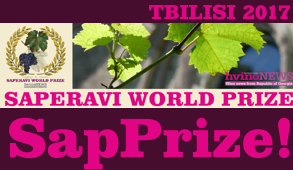 Tavkveri Dry Rosé 2010, Kartli (rosé, tavkveri): I tasted hundreds of rosé wines and may be thousands in my life, including 150 in 3 flights (9 hours in total) during the last edition of the Concours Mondial de Bruxelles (Guimarães, 2012)… This rosé is really different! Loads of red fruit, a hint of spices on the back… crispy fresh, fruity and juicy on the palate, great vinosity, medium-body, perfect balance, long and slightly mineral finish… A serious rosé wine for the gastronomy, Georgian and international. This tasting of Georgian wines imported in the Netherlands (Theo Jansen – GeoDev ) was not exhaustive. I didn’t ask to taste wines from ‘international’ grape varietals like merlot, cabernet sauvignon, chardonnay or sauvignon blanc. Nor did I ask for the few ‘modern’ made k’vevri (qvevri) wines that Theo imports as well. This tasting was much more meant as a new comprehensive approach on Georgian wines made from typical Georgian autochthonous varieties by different renowned producers with an open mind for the Western market. To be honest with you, I would not recommend all Georgian wines I tasted in the past 6 years… But what I noticed is that the Russian ‘embargo’ (the official term, but I’d prefer to say ‘boycott’ because it is actually more a political than a quality or health-hazard matter) has been – economically speaking – a disaster for many Georgian wine companies. On the other hand, it might just have been a blessing! No doubt that the Russian market might still be very important for some producers. However, there is much more in the world than an unwilling and hazardous Russian market which sounds mostly like playing a sad, old fashioned bully Russian roulette game. New central European markets like Poland, Czech Republic, Slovakia, Hungary, Slovenia, Romania, Bulgaria etc. 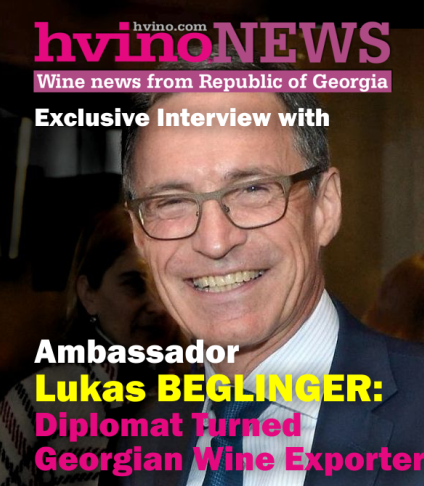 are developing quickly and discover more and more ‘new’ wine countries. 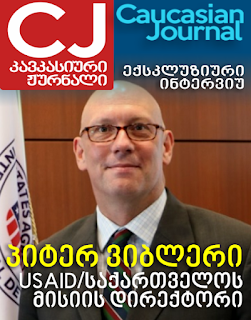 Georgia is a kind of ‘missing link’ between West and East, and it could fill the gaps which appeared after the ‘big changes’. 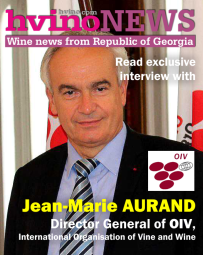 The taste of traditional k’vevri (qvevri) wines will please many consumers from those countries mentioned above. And even if they don’t say it loudly, many Russian, Ukrainian and Bielo-Russian will confess that they love those wines as well. Things are really different on the Western market. K’vevri (qvevri) wines might be very interesting for a few ‘connoisseurs’ or ‘wine freaks’, but the common consumer will never get used to that very peculiar taste. The Western consumers want fruity, fresh, easy drinking, juicy and tasty wines, matching with a wide range of dishes, but also enjoyable on their own (chill-out, lounging, club etc.). 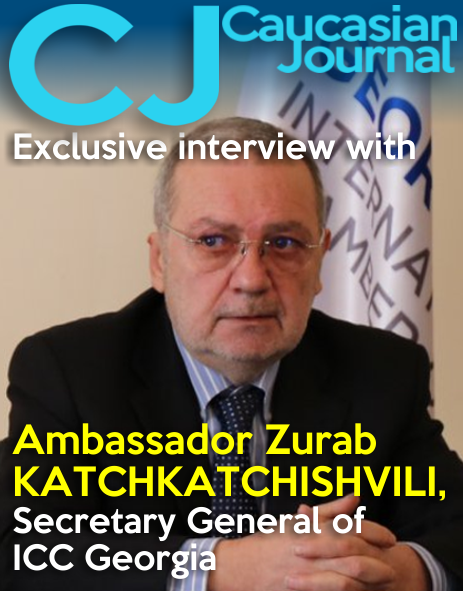 In that context, some Georgian companies have been increasingly improving their viticulture and wine-making skills, investing a lot in vineyards, cellar equipment, and … human resources! I am glad and impressed to see what some companies like CHÂTEAU MUKHRANI, TBILVINO, MURANI/TELAVI WINE CELLAR, BAGRATIONI, KHAREBA, CHELTI, SCHUCHMANN and some more, have been achieving in the past years. 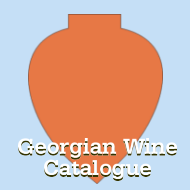 I do believe that Georgia could be soon playing an important role on the international wine market. The progression is now getting faster and the quality much better. The results of this tasting reinforced my opinion on this fabulous wine (food and culture) country. I wish all my Georgian friends peace, happiness, love, success and … wisdom! GAUMARJOS!